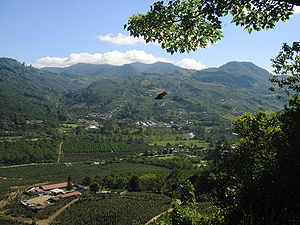 Located on the Reventazon River (otherwise known as the Rio Grande Orosi) in the charming Orosi Valley, about 30 kilometers to the south of the capital city of San Jose in Costa Rica, Orosi is a small colonial town in the Cartago providence. Orosi is one of the area's most must see destinations, positioned in what most consider to be the most stunning valley in the whole of Costa Rica. attraction, the Parque Nacional Tapanti Macizo Cerro de la Muerte, a massive National Park covering over 600 kilometers of land and which is the northern area of a large collection nature parks extending into Panama. enough to keep any visitors entertained, including boating or trout fishing along Lake Cachi or taking part in the excellent white water rafting options available along the Rio Reventazon. 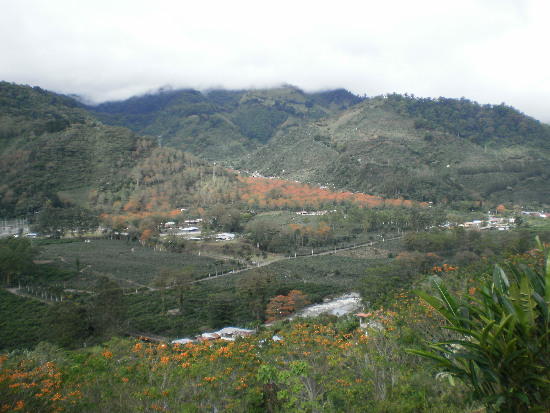 With its magnificent surrounding landscape, vivid scenery, and beautifulriver outlook, Orosi is a delight for nature lovers with a superb climate that provides lush green vegetation, fertile soil and the delightful thermal baths of Los Patios and Los Balnearios and other hot springs resorts. Orosi has the oldest church that is still in use. Near the church is a small museum hosting many of Costa Rica's religious antiquities.